The US premiere of Vortex (2009)—Lithuania's official submission to the Foreign Language category at the Academy Awards® and winner of three Sidabrinė gervė ("Silver Crane") awards for the outstanding performances of its talented trio of actors: Oksana Borbat (Best Actress); Vladimiras Jefremovas (Best Supporting Actor); and Jūratė Onaitytė (Best Supporting Actress)—was introduced by director Gytis Luksas, who wanted his Palm Springs audience to understand that Vortex was a film about his generation. He recounted that—despite his youth, falling in love, marrying, and raising a family—life in Lithuania at that time was "difficult and black." This played into his decision to film the narrative in black and white because he "didn't need the color" for his story. "Between the black and white," he offered, "there are numberless nuances of grey." He found it interesting to craft his film with his DP Viktoras Radzevicius using rules of vintage photography, such as its stern turn-of-the-century portraiture. 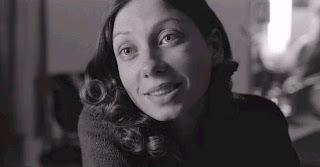 The characters of his film speak both Lithuanian and Russian, which was normal for the time, and Luksas employed this bilingual practice as a temporal marker to situate the narrative in its historical context. At heart, however, the film can be easily understood as a love story free from the tethers of historical circumstance and a timeless study of the relationship between men and women; a theme important to Luksas, and one which he hoped would be of importance to his audience. It's not enough for him to make an interesting movie, he stated, it must reflect genuine emotions, whether love or hate. 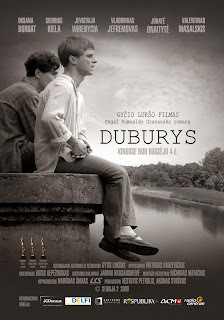 An adaptation of the 2003 novel Duburys by Romualdas Granauskas—winner of the Lithuanian National Cultural and Art Prize—Vortex recounts the history of the generation that lived through Lithuania's gloomy Soviet period as inflected through the life story of its main character: good-hearted country boy Juzik (Giedrius Kiela). As synopsized by Dennis Harvey at Variety, though Juzik's father is killed returning from WWI, and his teenage best friend drowned in another accident, Juzik "nonetheless reaches adulthood with his country innocence and good faith intact. After military service, he works in a corrupt quarry where he becomes involved with two self-destructive women: boozing, promiscuous Klara (Jevgenija Varencia); and insecure, much-victimized Maska (Oksana Borbat). 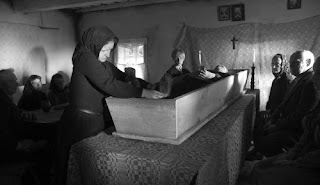 Periodically, Juzik returns home to visit his lonely, aging mother (Jūratė Onaitytė). Structured in chapters, the tale eventually plods a bit, but sports a gentle gravity that's winning, not least in Viktoras Radzevicius' luminous lensing." 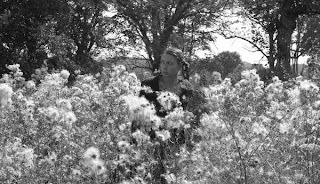 Harvey likewise suggests that—as much of a compliment as it is to say that Vortex "might be mistaken for a Soviet-bloc feature of 40-50 years ago—its austere black-and-white beauty, deliberate pace and tender solemnity are of a piece with works from a great period in world cinema"—the "difference is that during the 1960s, such exercises stood some chance of offshore theatrical exposure, while now they're strictly fest fare—and not even fashionably so." That demarcates a sad fate for an otherwise lustrous film. After the PSIFF10 screening, Gytis Luksas and I talked briefly in the lobby of the Camelot Theatre. Gytis Luksas: It's similar, yes. The whirlpool, yes, of course. The vortex, like the whirlpool, is something very dangerous; but, not only in the water—in life too. Guillén: You're saying there's a vortex in life—a way of looking at life?—that a person can get sucked into? Luksas: Yes, it's a metaphor. Guillén: I was intrigued by the film's false ending. You think that Juzik is going to die and that the film will end on that somber note; but, he doesn't die, and—as a consequence—the film expands out into hopefulness. Luksas: You know, the novel by Romualdas Granauskas—on which my film is based—ends with Juzik drowning. I changed that especially because I felt that—to live for somebody, to do something for someone else—was thematically more important, even if more difficult. I didn't want the ending to be so simplistic. Suicide is the shortest way to end all problems; but, I felt it would be better to end the film with an image of hope: Maska, the two children, and the dog. For me they were a picture of happiness within a future life, something that could be. Guillén: I read it that—rather than succumb to the vortex of despair—Juzik for the first time became aware of the potential for happiness in life. Luksas: Yes, it's an image that's about the fullness of life, the wholeness of life. Maybe, after all, Juzik will decide to adopt Klara's children from the orphanage? Maybe he'll return to Maska and begin life again? 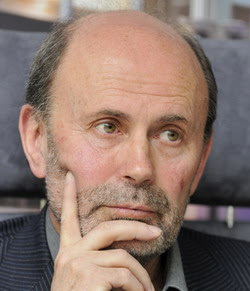 Guillén: Tell me about the novelist Romualdas Granauskas. Luksas: He's a famous Lithuanian writer and this novel was written five years ago. Guillén: Is he still alive? Guillén: What did he think of your changing his ending? Luksas: I was afraid when he came to see the movie; but, afterwards, we had a conversation and he told me, "You know, maybe you did better, because the film has more depth; it's more serious." I structured the film as a circle. 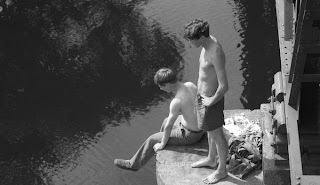 At the beginning Juzik loses his friend to the whirlpool and—as the film's hero—he lives with a sense of sin; a sin that he has made in his own mind. Guillén: Is that the vortex that threatens to pull him under? Luksas: Yes, it's like a vortex, and then he becomes involved with the two women, which leads to further problems, such that he decides to end his problems by committing suicide; but, he finally understands that perhaps it's more important to live. The writer Granauskas decided this was a better ending than his novel. Guillén: What can we expect from this film? Does it have a distributor in the US? 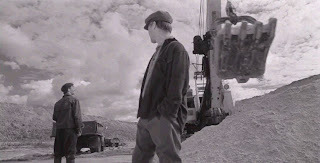 Luksas: As you know, it was considered the best film in Lithuania and submitted to the Academy Awards® for Best Foreign Language film; but, it remains difficult to know what will happen with the film. But the fact that Lithuania is represented at this festival with this film is good for Lithuania. We're such a small country.